U.S. pizza companies are fighting the war on pie—and they won't back down. Forty-one million Americans eat a slice of pizza on any given day. “If pizza were a country, its sales would put it in the top 100 of global gross domestic product,” writes Bloomberg‘s Andrew Martin in an article on the most delicious lobbying group around: the pizza lobby. The pizza lobby is more powerful than any of us realize. While Big Pizza hasn’t thrown all that much money around, explains Martin, they’ve separated themselves from other food groups in Washington to become their own lobbying force. 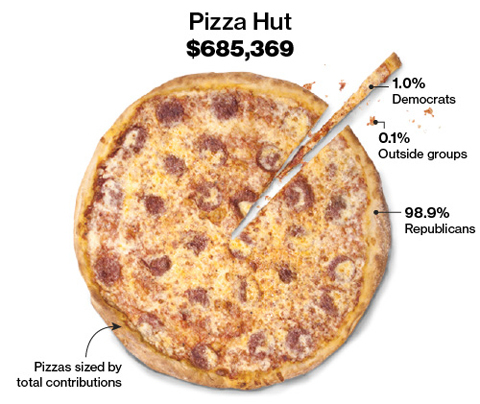 “Pizza’s biggest spenders devoted less than $500,000 to lobbying last year and just $1.5 million in political contributions in the last two elections,” according to Bloomberg. Yet, they have been successful in persuading and fighting Congress. It should be noted that $1.3 million of that $1.5 million in political contributions went to Republicans, and the biggest beneficiary was 2012 Republican presidential nominee Mitt Romney. 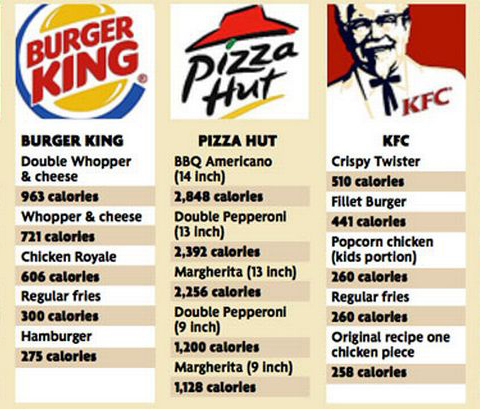 The FDA’s proposed regulations also required pizzerias to post calories for a whole pie, rather than a single slice. Marla Topliff, president of Rosati’s Pizza in Chicago, told Bloomberg, “It is sticker shock. When somebody looks at nutritionals on a large pizza and they see 10,000 calories, they may be reluctant to buy it.” This concern makes sense, since not many people sit down to eat a whole pie anyway. Domino’s hired a lobbyist in Washington to fight against menu labeling, while Liddle and her counterparts sounded the alarm far and wide. They recruited franchise owners, suppliers, and other big chains such as Papa John’s and Little Caesars, representing roughly 20,000 restaurants. 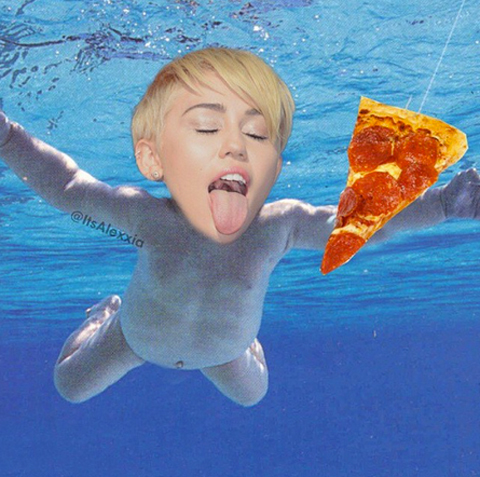 Our thoughts: Maybe Miley Cyrus’ pornographic pizza obsession is inspired by monetary contributions from the pizza lobby? Perhaps the APC is behind the #pizzaboyz movement? Anything is possible, since the Food Illuminati (and apparently the Pizza Illuminati) is real. Read the entire Bloomberg report to find out more ways the pizza lobby is fighting for your right to eat pizza.